Sacramento County Sheriff’s detectives arrested a man yesterday in connection with the theft of memorial wall plaques from Patriot Park in Carmichael. 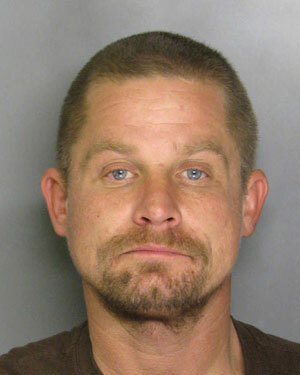 Casey Alger, 37 , was taken into custody at a residence in Sacramento and booked into the Sacramento County Main Jail on charges of theft and possession of stolen property. On December 19,members of the Carmichael Parks and Recreation District discovered that five memorial wall plaques had been removed from the Wall of Honor at Patriot Park. The brass plaques are in memory of former Carmichael residents who sacrificed their lives while working in law enforcement, medical professions or the United States military. Detectives received information from a local recycling business regarding Alger, who had come in with brass to recycle. Further investigation led to the discovery that the metal brought in by Alger was, in fact, one of the stolen wall plaques. The other four individual plaques remain unaccounted for. Anyone with information about this case is asked to call the Sheriff’s Department at (916) 874-5115. No Comment to " Suspect Arrested in Theft of Memorial Plaques "